From a price transparency standpoint, the healthcare industry has come a long way since its early days, or even just in the last 10 years. In the past, receiving healthcare was much less complicated for consumers. All they cared to know was, “Will I get better” and “How much will this cost?” That was it. There was no worrying about what their out-of-pocket is, whether or not they qualify for Medicaid, or even whether their procedure will be covered by insurance. Since then, however, the healthcare revenue cycle has become much more advanced in an effort to improve the quality of patient care through value-based care initiatives. But why does online price shopping for a medical procedure have to be so complicated and unnerving for the consumer? Ideally, it should work like purchasing an item off Amazon.com. You log on to the website, search for the item that you’re looking for, maybe then compare it to other items alike, find the best price, and then you buy that item for the price listed on the website. Now, patients expect to receive the same personalization from their healthcare provider – and if your hospital does not provide that option, they will not hesitate to move on to the next hospital’s website. In fact, the average online attention span for consumers is now just 8 seconds. It’s important to consider shifting demographics as well. For a generation that has become so immersed with our digital world, millennials expect their healthcare to be as simple to manage as their Facebook page. Not only do they want to access their medical records digitally (via smart phone primarily) but they also expect to be able to book appointments, ask doctors questions about medications, and, most importantly, receive an accurate online estimate the moment they submit a request. Millennials are not ones to shy away from researching various hospitals in their area and finding the cheapest (or most suitable) option for them. In fact, recent data shows that 23% of millennials look at online reviews for providers and hospitals, compared to 15% from other generations. As this technology becomes more accessible to all users, the pressure will be on providers manage their revenue cycle by keeping up with the increasing demand for greater personalization for their healthcare needs. While these characteristics are mostly present in millennials, this digital movement is affecting all generations (Gen Z, Gen X, Baby Boomers, etc.). For better or worse, consumers now expect greater personalization and it’s the responsibility of hospitals to adapt by providing online estimates clearly and accurately via desktop or mobile device. Hospitals need to offer online patient estimates in order to take control of the pricing message online. Think about your own market. Your hospital may have a stand-alone imaging center that you consider to be competition. The imaging center is going to list the true cost to the patient, which is going to be significantly less than the average Chargemaster price at your hospital. 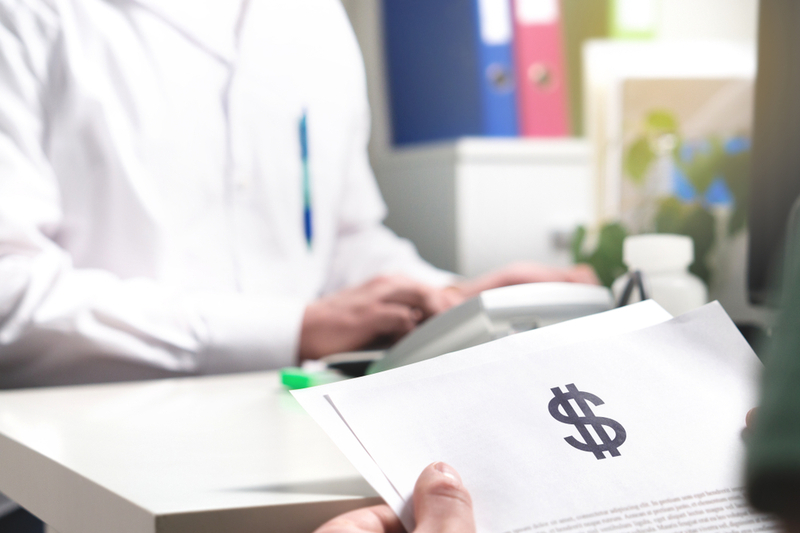 Rather than posting the average hospital Chargemaster cost for a particular service, factor in variables like the payer contractual allowable, the patient’s co-insurance, and co-pay to provide a true cost to the patient that will be more comparable to the stand-alone imaging center. The average patient doesn’t understand Chargemaster prices, but they do understand their own out-of-pocket cost. This might make the difference in scheduling a new patient. When developing your hospital’s personalized online estimation system, it’s very important to make sure the page layout is visually appealing to the customer. Think about companies like Apple and Google- their websites feature a limited amount of text, lots of space between images and text, bright colors, and a clear call-to-action for each section on their products and services. This allows the user to quickly scan the page for the information they need to know while at the same time, allowing the provider the power to direct the reader’s eyes wherever they want. Make sure that every webpage has a purpose. In other words, what steps do you want the user to take next? By making these visual changes to a hospital’s online estimation tool, not only are they providing easy access to the patient’s financial responsibility, but they’re simultaneously building a sense of loyalty with the consumer. This helps to establish long-lasting relationships which can increase your competitive edge in the local market. At the end of the day, creating personalization within your revenue cycle is the right thing to do for your patients and will help you maintain a competitive edge. That is why it is absolutely crucial that your hospital embraces the new digital expectations of patients – by making your estimates easy to use and accurate – with the right service, right location, and right benefit information.